Croatia’s first appearance was as a duchy in the 7th century and then, later on, as kingdom. From 12th century it remained a distinct state but was under neighbouring powers – Hungary and Austria. 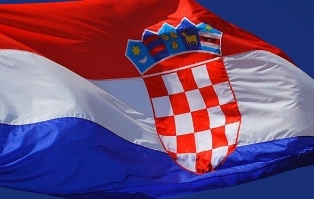 From 15th to the 17th century Croatia was known for its struggles with the Ottoman Empire, which was stopped from further conquering in Europe by Croatian sacrifices. For the most of 20th century, Croatia was part of Yugoslavia and gained independece in 1991., the year when infamous war for independence started. Right from its early starts, in the 7th century, Croatia was marked by struggle and war. The Kindgdom of Croatia (from 925-1102) gained recognition when croatian kings defeated Hungarian and Bulgarian invaders, thus spreading the influence of Croatian kings. 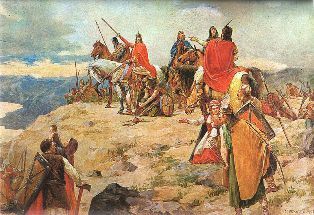 The Croatian kingdom was in its peak in the 11th century, during the reigns of Petar Krešimir IV and Dmitar Zvonimir. After the deaths of Croatian kings, the country found itself under the rule of Hungary yet again where it remained until 1918. (in personal union). This period of Croatian history was also marked by war with the Ottoman Empire where Croats managed to bring the invasion of Europe to a halt(15th-16th century). Shorty before the First World War ended, Croatia severed relations with Austria-Hungary and became part of State of Slovenes, Croats and Serbs. This was a beginning of a new state, which will slowly become Yugoslavia due to Serbian efforts. In the time of World War II, Croatia was independent on paper, but was actually Hitlers puppet state. This time, 1941. to 1945. was marked with war and suffering. This, fascist state ceased to exist in 1945. when communist Yugoslavia was formed, under the rule of Josip Broz Tito. In 1980, after Tito’s death, economic, political, and religious difficulties started to mount and the federal government began to crumble. The crisis in Kosovo and, in 1986, the emergence of Slobodan Milošević in Serbia provoked a very negative reaction in Croatia and Slovenia; politicians from both republics feared that his motives would threaten their republics’ autonomy. With the climate of change throughout Eastern Europe during the 1980s, the communist hegemony was challenged (at the same time, the Milošević government began to gradually concentrate Yugoslav power in Serbia and calls for free multi-party elections were becoming louder. In June 1989 the Croatian Democratic Union (HDZ) was founded by Croatian nationalist dissidents led by Franjo Tuđman a former fighter in Tito’s Partisan movement and JNA General. At this time Yugoslavia was still a one-party state and open manifestations of Croatian nationalism were dangerous so new party was founded in an almost conspiratorial manner. It was only on 13 Dec 1989 that the governing League of Communists of Croatia agreed to legalize opposition political parties and hold free elections in the spring of 1990. On 23 Jan 1990 at its 14th Congress the Communist League of Yugoslavia voted to remove its monopoly on political power, but the same day effectively ceased to exist as a national party when the League of Communists of Slovenia walked out after Serbia’s Slobodan Milošević blocked all their reformist proposals – the League of Communists of Croatia walked out soon after. On 22 April and 7 May 1990, the first free multi-party elections were held in Croatia. Franjo Tuđman’s Croatian Democratic Union (HDZ) won by a relatively slim margin against Ivica Račan’s reformed communist Party of Democratic Change (SDP). However, Croatia’s first-past-the-post election system enabled Tuđman to form the government relatively independently. The HDZ’s intentions were to secure independence for Croatia, contrary to the wishes of a part of the ethnic Serbs in the republic, and federal and national politicians in Belgrade. The excessively polarized climate soon escalated into complete estrangement between the two nations and spiralled into sectarian violence.On 2 May 1991 the Croatian parliament voted to hold a referendum on independence. This date was a beginning of the war, which was fought until 1995. After the war, the things began to change. Croatia was slowly moving towards European Union and now stands at its doorstep. This marked a new era, the Croatia was becoming a modern European state that it is today. 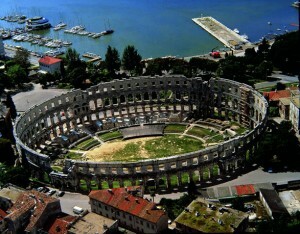 Romans and Venetians had a huge influence on Croatian art and culture. More than a thousand years of influence of Venetians on the coastal regions is visible today. 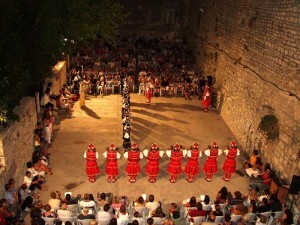 Venice was present in Istria, Kvarner and Dalmatia and helped create a unique Mediterranean culture manifested in music, language, clothing, cuisine and more. 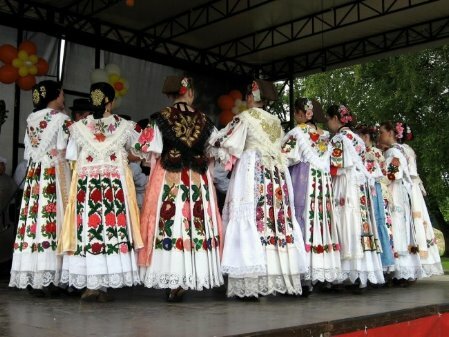 What differs Croatian culture from others are hand-made things, dances, national costumes, music and cuisine. The most important manual work can be found in tablecloth crocheting and sweater knitting, particularly in coastal towns. Many works like You can see on the picture on the left can be seen in coastal and island towns. They have distinctive markings characteristic to particular region or even island or town. You can often see old ladies sitting in front of their homes, knitting and making little pieces of art, just like this one. Such pieces can often be found in national costumes, which are worn in famous folk dances, which originate from customs from Turkish wars. 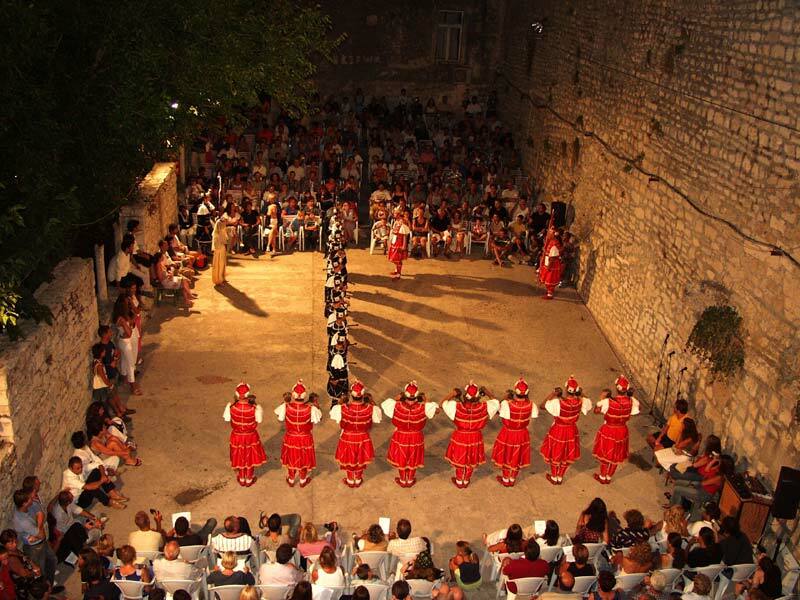 Some of these famous dances are: Moreška (sword dance from Dalmatia) and Kumpanija (fight followed by music). Typical music instruments used in such events are gajda (bagpipes), tamburica (balalaika), kvala and sopila. The national costumes seen in these dances are used only during holidays and ceremonial games, especially in tourist destinations. 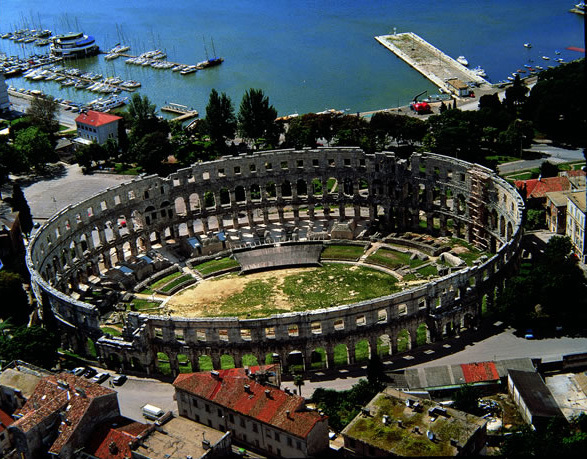 Due to its heritage, Croatia has a vast collection of art dating from Roman times and one of the best preserved monuments in the world, such as Diocletian’s Palace or the Arena in Pula. There is also heritage from Middle ages, such as Sv. 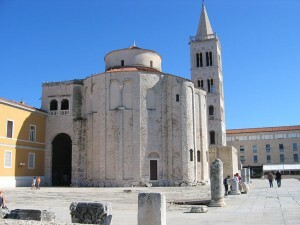 Donat and cathedral of St. Stošija in Zadar, which are fantastic pieces of architecture. Witnesses of Renaissance are cathedral of St. James in Šibenik, the fortress city of Karlovac and many more. Baroque city of Varaždin is one of the best destinations in inland Croatia. Many tourist visit this city to see the marvels it has to offer. Countless more pieces of art and architecture are Yours to explore once You visit Croatia. 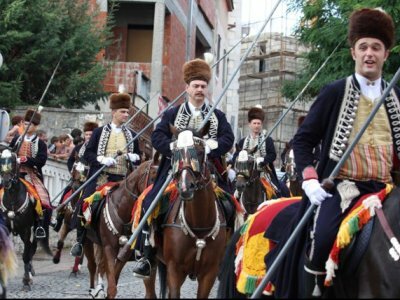 Some of the events You will see in Croatia exist nowhere else in the World. 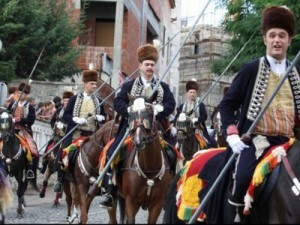 Like Sinjska alka – equestrian competition honoring the victory over the Ottoman administration.